Since 1947, Lowell has engineered and produced Quality products for the professional audio-visual industry. From boardrooms and professional multimedia areas to sports arenas and home theaters, our products work behind the scenes to provide seamless systems integration and exceptional performance. And over the years industry consultants and systems integrators have come to appreciate the advantage of specifying Lowell Quality for their projects. So we continue to build our products the same way we built our company. With craftsmanship. Passion. Sincerity. And a pride in refusing to compromise—so that our customers, and their customers, never have to. This is our company. This is our brand. This, is Lowell. 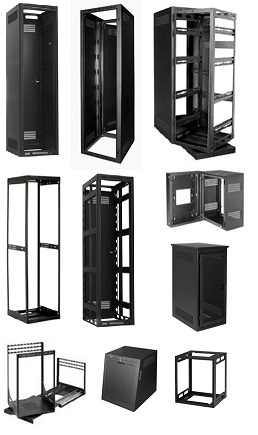 Lowell Offers a wide selection of racks in all sizes and style. 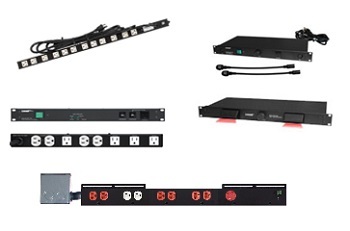 Lowell Offers a wide selection of power distribution & conditioning equipment:. Lowell offers a whole selection of volume controls to satisfy all your needs. Whether you are looking for a volume in standard stainless steel, plain plastic finish in white, black or ivory or Decora insert in white, black or ivory with or without a stainless steel Decora Plate, Lowell has the model you are looking. Our high quality makes our volume controls one of the most popular in the industry. Available in low impedance (4-8 ohms) stereo or mono, high impedance (70V) or Line Level. 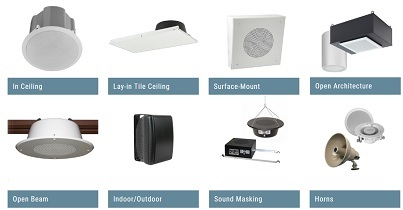 Lowell speaker systems typically include a driver, enclosure and grille. Some models include a transformer; others feature an infinite baffle (i.e. no enclosure). Please note that speaker systems are not complete audio systems as components like amplifiers and mixers must be purchased separately. See product spec sheets for complete information. Lowell offers a wide range of amplifiers & Electronic products. Mixer/Amplifiers, Pre-Amplifier, Power Amplifier, Sound Masking Generators, AM/FM Tuner, Graphic Equalizers, Monitor Panels and Signal Transformers. © 2018 • Erikson Commercial div. Jam Industries Inc.